Stewart Title and Mountain America Credit Union in Utah have executed the first electronic mortgage closings of loans insured by the Federal Housing Administration (FHA). The move comes a little more than a month after the FHAannounced that it was expanding the number of electronically signed documents it would accept from lenders. The signings were conducted in Stewart’s Bonneville Superior office in the Salt Lake City area using a system created by DocMagic eSign, according to a statement from the title company. The first transaction was a standard mortgage for a home purchase. The second, conducted immediately after the first, was a refinance loan. “Today marks two very momentous transactions for the real estate industry as a whole,” said Glenn Clements, group president of direct operations for Stewart. Every part of the transaction except the signing of the actual mortgage note was performed electronically. 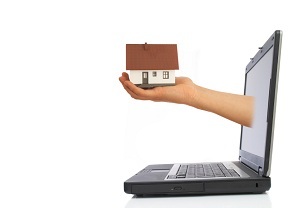 The FHA said it expects to begin accepting electronically signed mortgage notes by the end of the year. The systems in place allow loans to be electronically signed and notarized, without needing to print out any documents. To find out more about eNotarization see our article about the differences between different types of eSignatures.